Miele is the globally prominent supplier of premium household appliances for kitchens, laundry and floor care. In addition, Miele supplies dishwashers, washing machines and tumble dryers for commercial use as well as appliances for the preparation of medical instruments and laboratory equipment ("Miele Professional"). With its own sales companies or importers Miele is represented in about 100 countries. The Miele & Cie. KG has been owned by the Miele (51 per cent) and the Zinkann (49 per cent) families since its foundation in 1899. 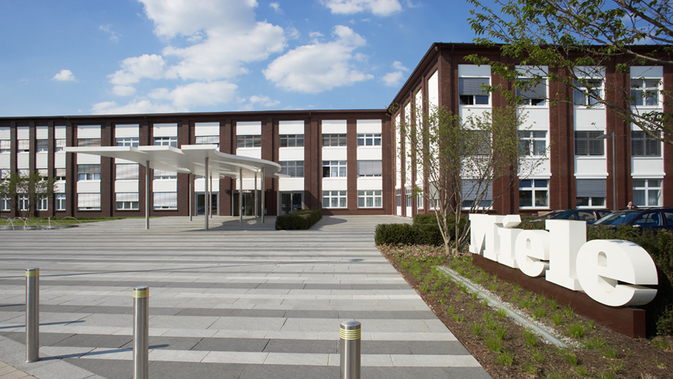 The head office with central administration and parent plant is located in Gütersloh. Miele is an independent family-owned company with the claim to being an industry leader in quality and technology. Miele stands for partnership-based conduct towards its business partners, an employee-focused corporate culture as well as continuity of values, goals and leadership. Miele & Cie. KG is jointly managed by five directors: Olaf Bartsch (Executive Director - Finances and Administration), Dr Stefan Breit (Executive Director - Technology), Dr Axel Kniehl (Executive Director - Marketing and Sales), as well as Dr Markus Miele and Dr Reinhard Zinkann (Executive Directors and Co-Proprietors). Worldwide Miele employs 20,098 people worldwide, 11,225 of them in Germany. For Miele sustainable conduct is entrenched in the values and tradition of the company and is the absolute foundation for long-term corporate success. Miele is a member of the UN sustainability organisation Global Compact and signatory of the "Diversity Charter". Miele publishes a sustainability report every two years. Everything else regarding sustainability can be found here.